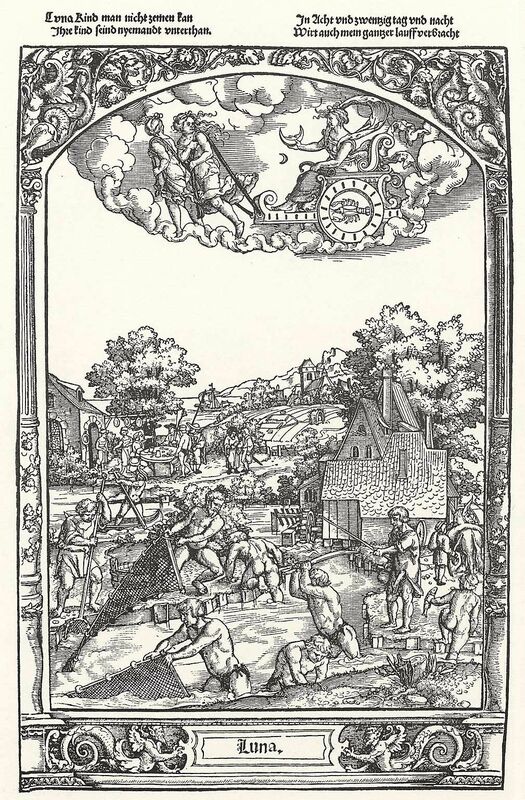 by Georg Pencz (1500-1550), in the Folge der Planeten. 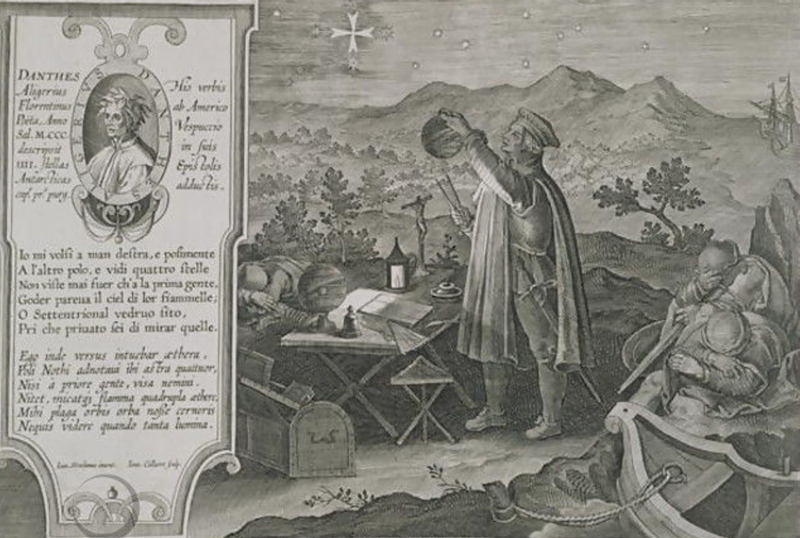 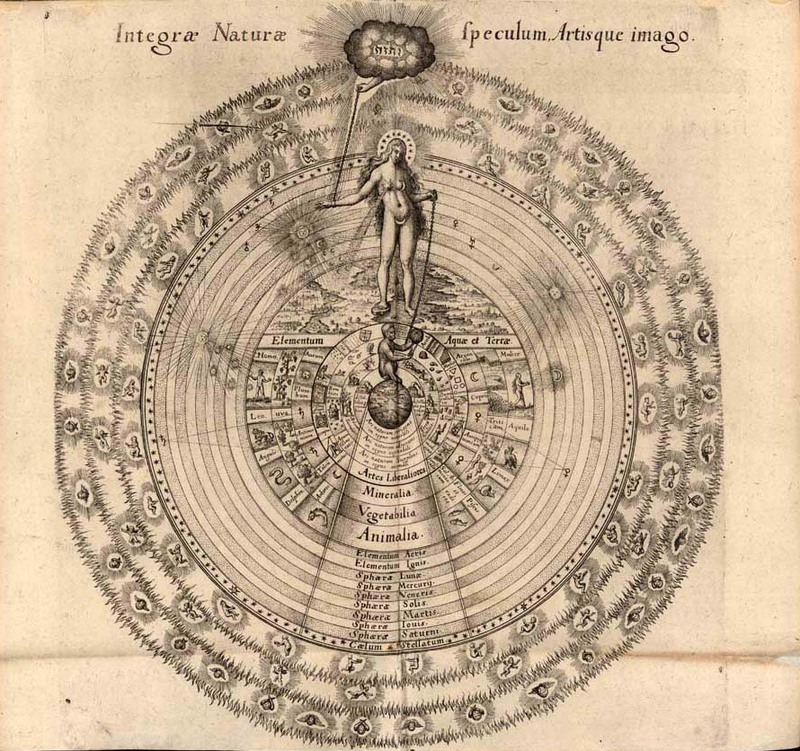 In this engraving, English physician and mystical philosopher Robert Fludd (1574-1637) portrays his idea of creation’s plan. 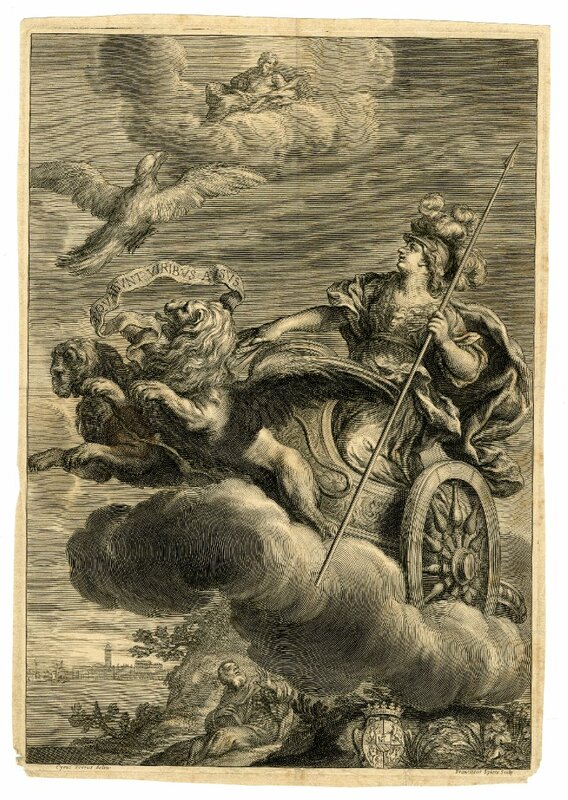 God reaches out from a radiant cloud to hold the chain that binds Nature, the soul of the world. 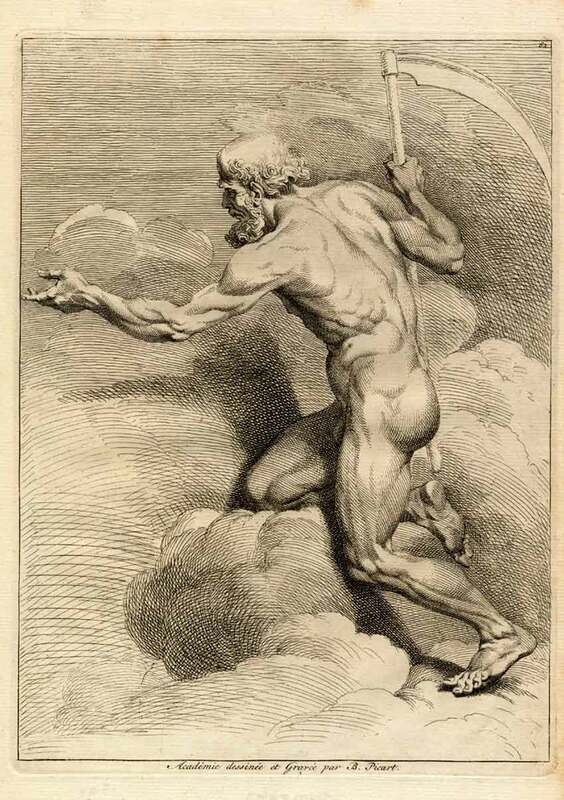 Nature holds a chain attached to the physical world, represented by a monkey. 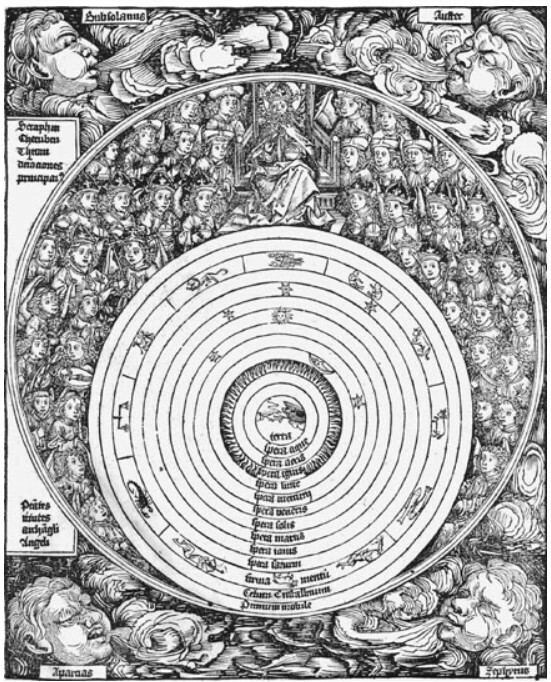 Humans, plants, animals, the arts, the four elements, and the planets all have their assigned place in what was known in the Middle Ages and the Renaissance as “the Great Chain of Being.” The outermost rings represent Paradise. 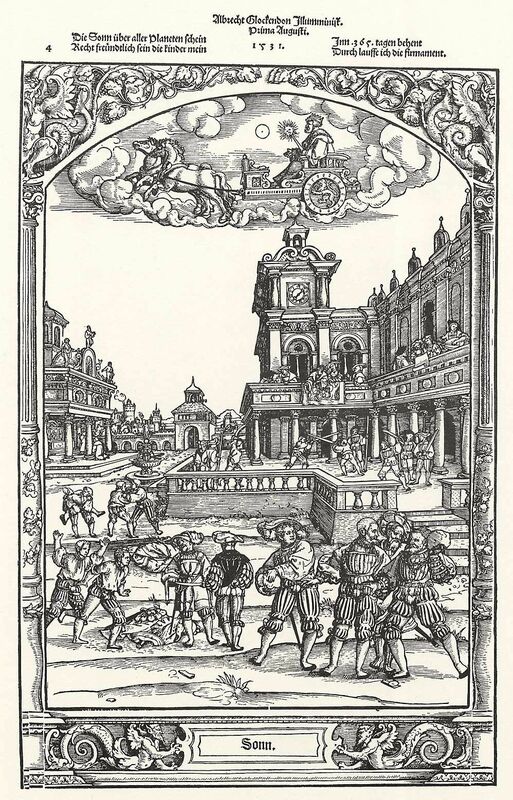 Fludd was a prolific writer, and many of his works on alchemy, occult medicine, philosophy, and various scientific theories, such as this two-volume encyclopedic work, survive. 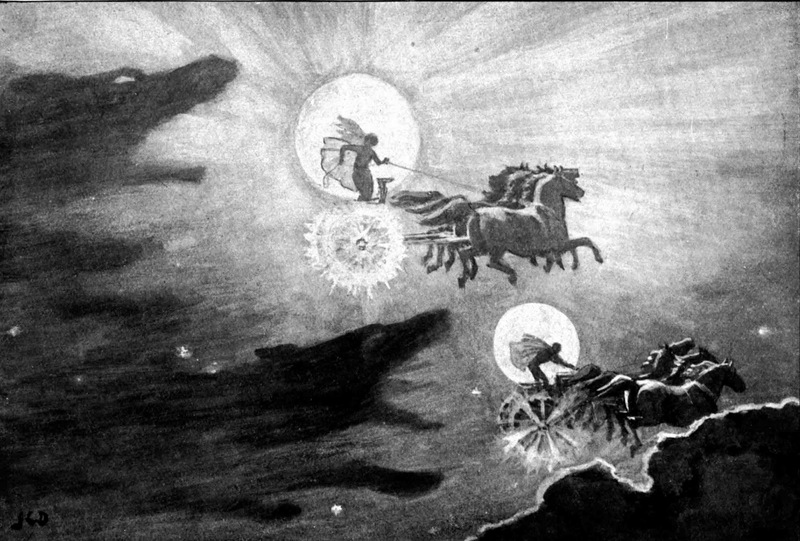 Drawing by John Charles Dollman. 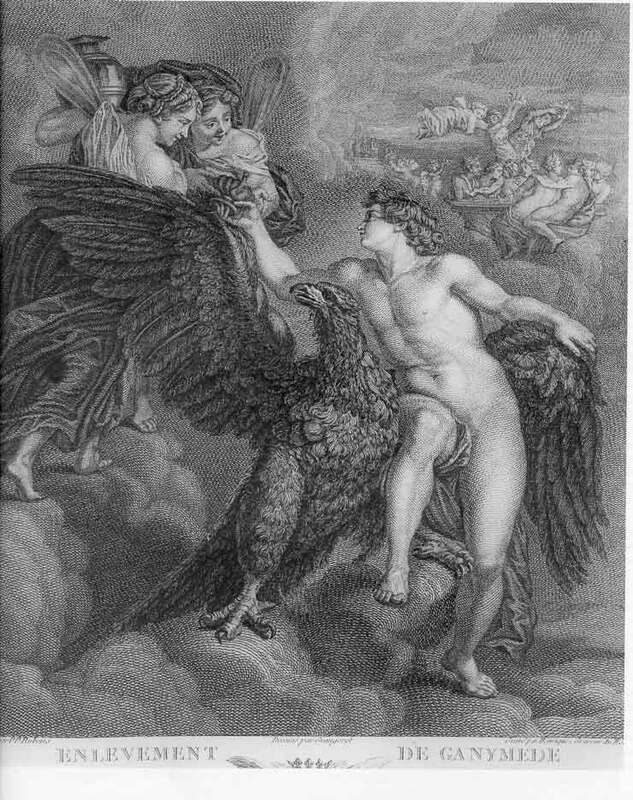 Impostures Innocentes, on Recueil d’Estampes d’après divers Peintres Illustres, gravées a leur Imitation, et selon le gout particulier de chacun d’eux., by Bernard Picart, Amsterdam, Netherlands, 1734. 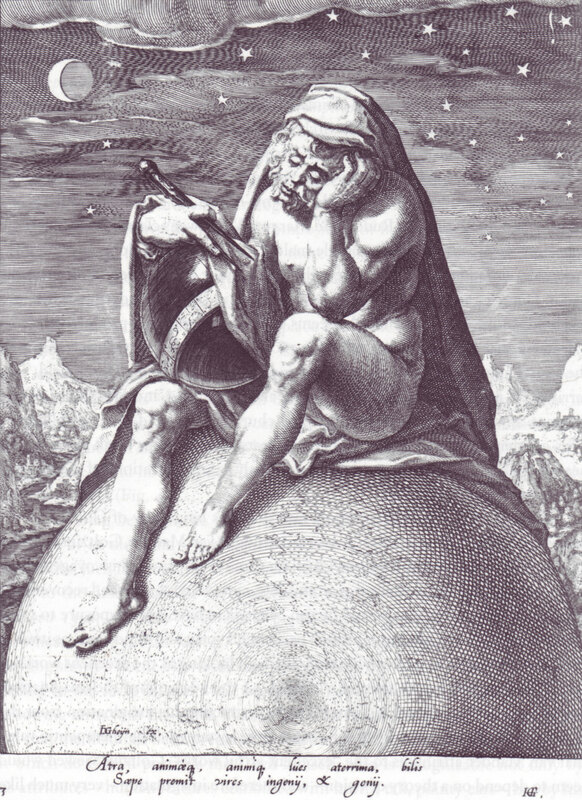 Saturn as Melancholy – Zacharias Dolendo after a design of Jacques de Gheyn (c. 1595/6).